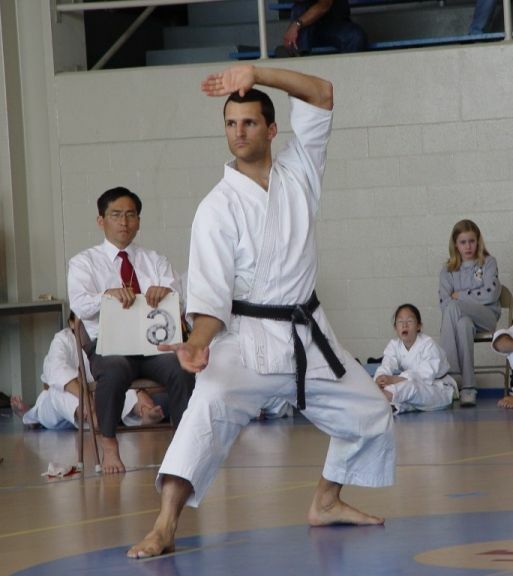 SKDI Spring Championships - UConn Avery Point, May 3, 2003. 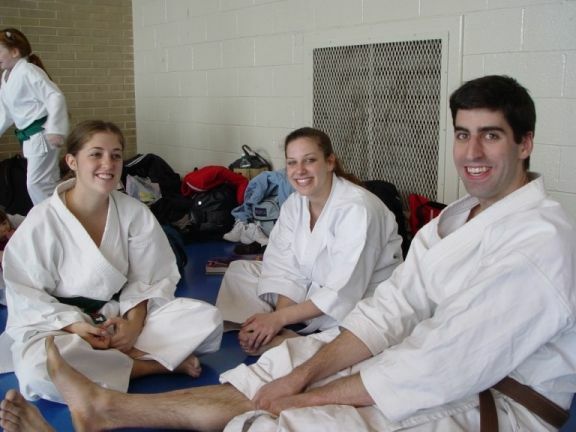 Marsha Gaylord, Melissa Gernat and Dan Napier "warm up" for the competition. 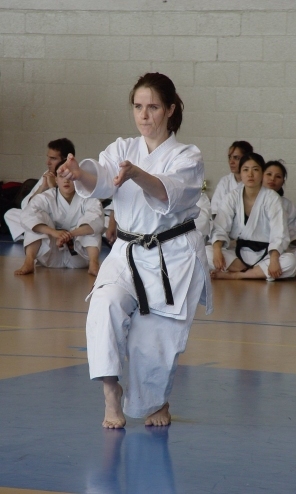 Julie Westmoreland (3rd place black belt womens kata) performs the kata Unsu. 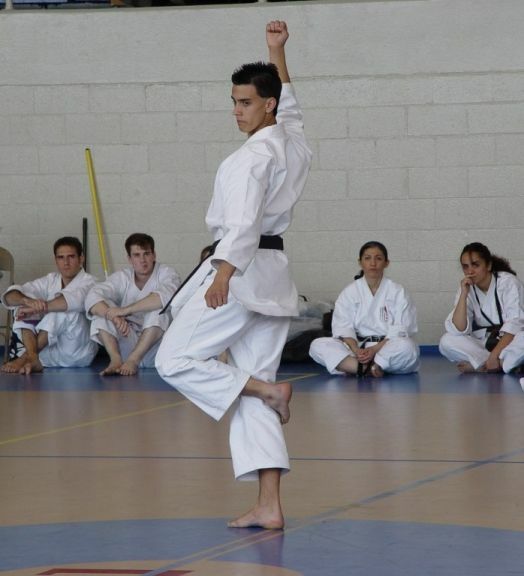 Joe Vincente (2nd place black belt mens kata) standing like a crane in Gankaku. 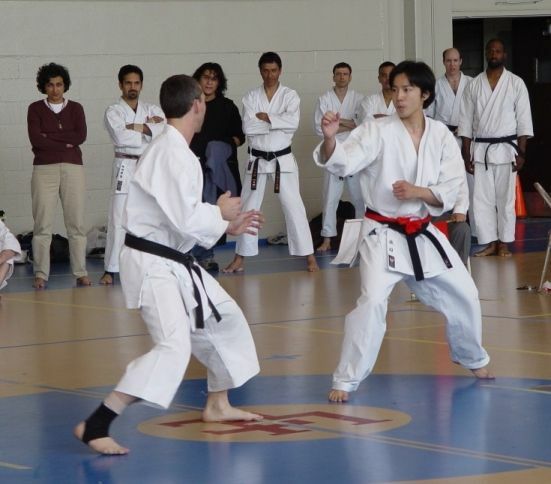 Mens black belt kumite final match - John Seifert (2nd place) vs. Masahiro Arita (1st place). 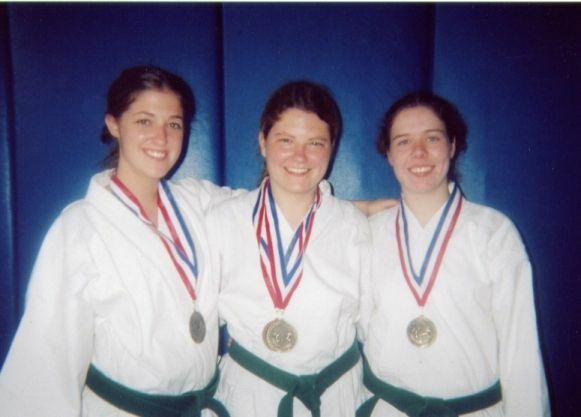 UConn green belt 1st place team - Marsha Gaylord, Alison Flannery (3rd place green belt kumite) and Katy McGrath. 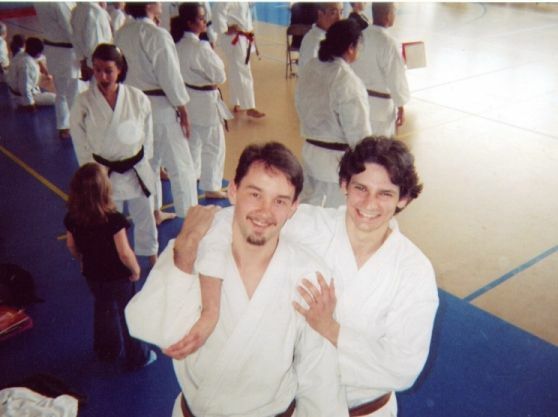 Brown belt buddies Rim Baltaduonis (4th place brown belt mens kata) and Matt Delude (2nd place brown belt mens kata).